When will be The Gadget Show next episode air date? Is The Gadget Show renewed or cancelled? 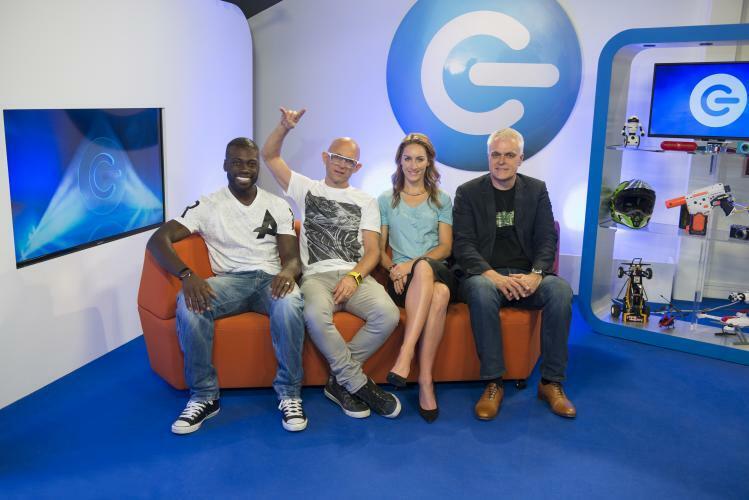 Where to countdown The Gadget Show air dates? Is The Gadget Show worth watching? Action-packed consumer series. Craig Charles steps into the hot seat to deliver his verdict on the Nintendo Switch, Jon gets his hands on a Samsung 360 camera and Georgie Barrat kicks off her season-long experiment to transform an amateur football team using the latest tech. Craig gets his hands on a drone made of magnetic blocks that can be reconfigured in seconds, and Georgie sees which tech is helping to create Olympic boxing medalists. Britain's Got Talent 2014 finalists The Addict Initiative are on hand to help Jon Bentley test the latest wireless earbuds, Georgie Barrat uses technology to focus on improving nutrition for Monkey Tree FC, and Ortis learns about immensely powerful quantum computers. Craig turns up some smart headphones, Ortis gives two paramedics a high-tech spa day, Jon makes his call on the latest Chinese smart phone and Georgie visits the New York Toy Fair. Ortis discovers how smart fabrics can stop drivers from nodding off and spot the onset of diabetes. Jon tests three coffee machines costing £100, £600 and £3,500 respectively. With the same high-quality beans going in, will the gizmos make any difference to the end product? Georgie attempts to get in the record books with a marathon VR session, John and Ortis pit two updated cameras against each other, and Ortis helps two paramedics to maximise their breaks. Jon Bentley tests a new 4k Blu-ray format against its streaming equivalent. Ortis Deley helms a fire engine with the power to reduce the temperature of a burning building from 700C to 7C in just 6 seconds. Plus, Georgie Barrat takes Monkey Tree FC to the FA's hi-tech training facility. Georgie visits an uber-cool New York technology hub, Ortis de-stresses overworked paramedics, and Jon finds out if a new tablet can turn us all into artists. Georgie uses the latest brain-boosting apps and games to give struggling football team Monkey Tree FC the edge, Jon gets the full picture on the latest camera drone and Ortis samples a 3D printer that can cook! Georgie peeks behind the curtains at Hursley House, a Hampshire stately home housing IBM's super-computer, Watson. Plus, the latest housework tech and Jon tests a fixed wing drone. Georgie nears the end of her quest to use tech keep Monkey Tree FC from relegation, and Ortis visits the world's best virtual reality show. The gadget gang present the best tools for the summer music festivals, and Georgie visits Bermuda to see how the BAR racing team are combining tech with human ingenuity to win the America's Cup boat race. 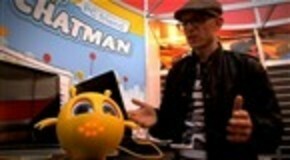 The Gadget Show next episode air date provides TVMaze for you. EpisoDate.com is your TV show guide to Countdown The Gadget Show Episode Air Dates and to stay in touch with The Gadget Show next episode Air Date and your others favorite TV Shows. Add the shows you like to a "Watchlist" and let the site take it from there.